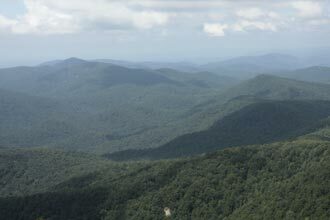 Blood Mountain is one of the most iconic Georgia hiking destinations and this 10 mile double loop combines 4 different trails to make a figure-8 over this historic summit. 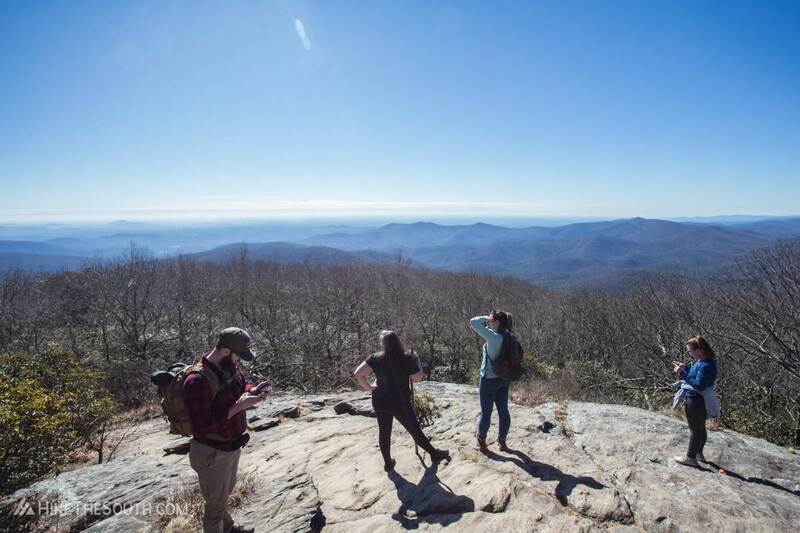 Other than adding distance to the shorter routes, this hike provides some much needed solitude as no matter the season, weekends at the top of Blood Mountain will always be crowded. 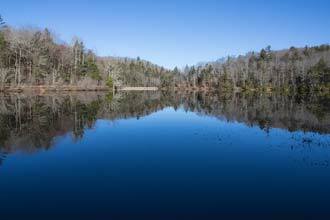 And Lake Winfield Scott is nice too. You have a few options on this hike. 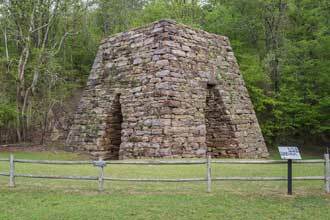 The Jarrard Gap and Slaughter Creek trails combine with the Appalachian Trail to form one loop. 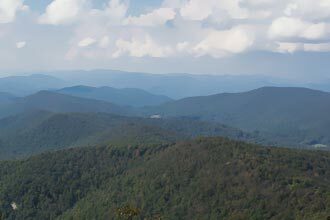 The AT and the Freeman Trail form another with overlap between Bird Gap and the Slaughter Creek trail split with the AT. 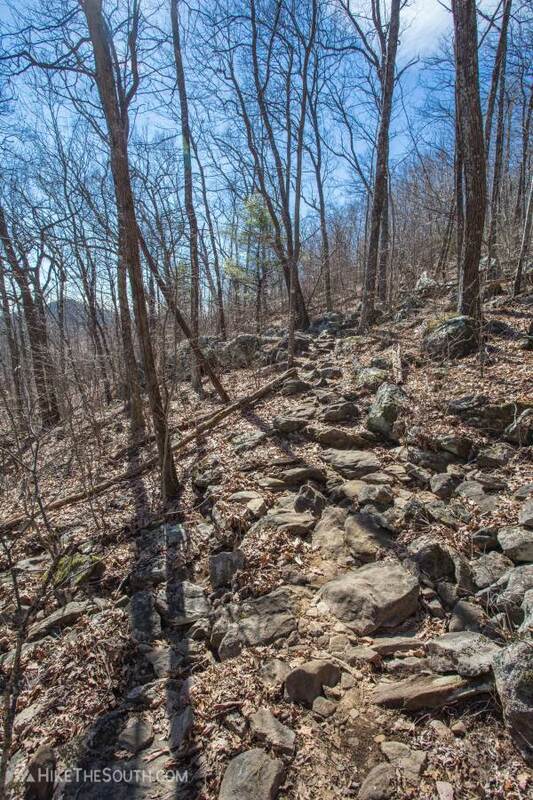 The Slaughter Creek Trail is easier on the way up and hiking northbound on the AT over Blood Mountain is easier than the alternative. I chose to do a figure-8 (mostly because it sounds interesting) and take the easier route over Blood. The color listed next to the trail name is the representation on the Terrain Map below. 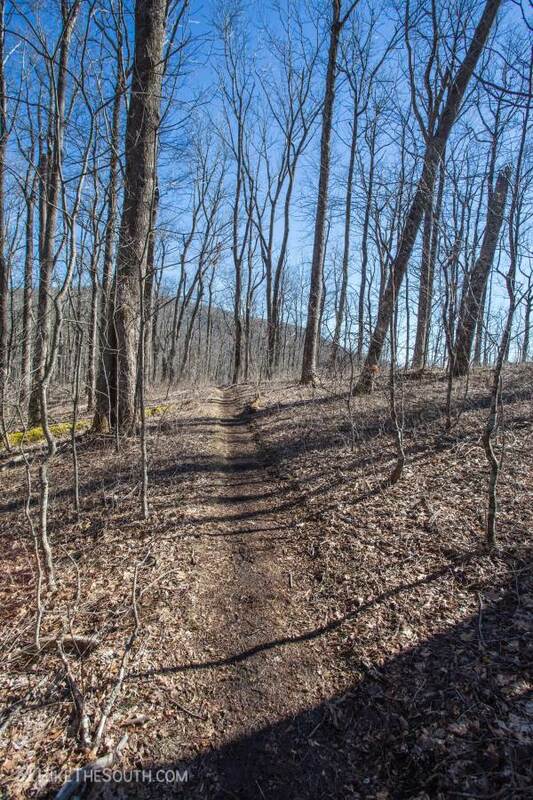 All trails are blazed Blue except for the white-blazed Appalachian Trail. Jarrard Gap Trail (Blue). 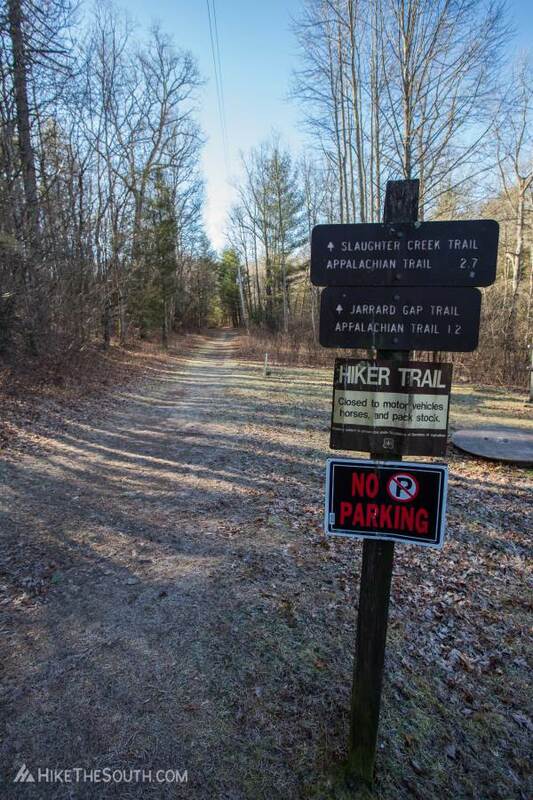 Begin this hike following signs for both Jarrard Gap and Slaughter Creek trails. Turn left at the sign at .1 miles, then turn right onto the gravel road at .25 miles. The gravel road turns left then splits at just under .5 miles. Look for the trail sign just to the right of the road split. After .2 miles, stay right to continue uphill. After a couple short steep sections, you'll come to a wider unmarked path at 1.15 miles. 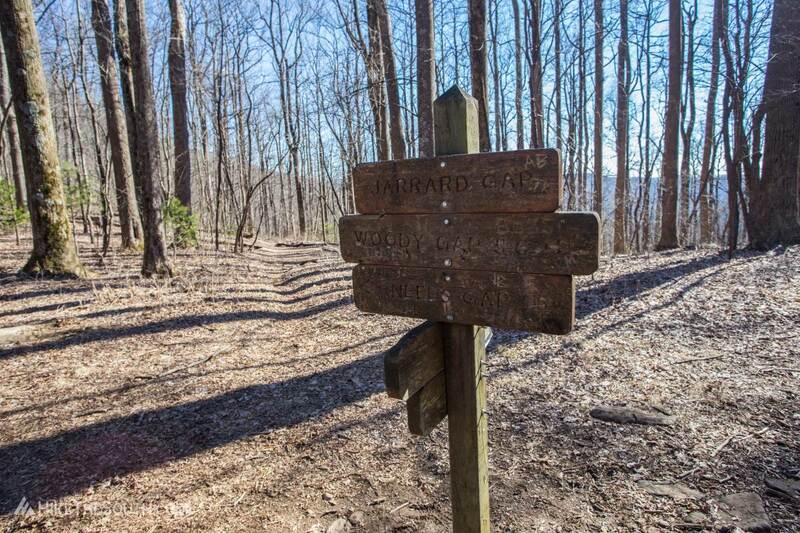 Turn right and just a few steps uphill is Jarrard Gap and the Appalachian Trail. 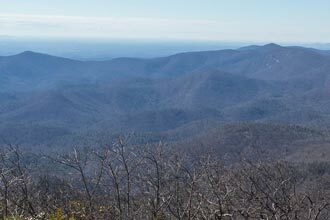 Appalachian Trail to Blood Mountain (White). Turn left on the AT from Jarrard Gap. 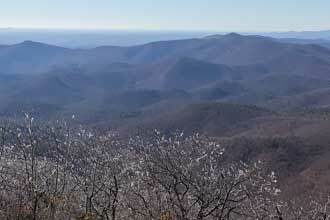 Along the ridge, you'll get occasional winter views. Continuing uphill you'll arrive at Bird Gap at 2.6 miles and the Freeman Trail on the right. Continue straight. At 3 miles you'll hit the Slaughter Creek Trail split. Blood Mountain (White). 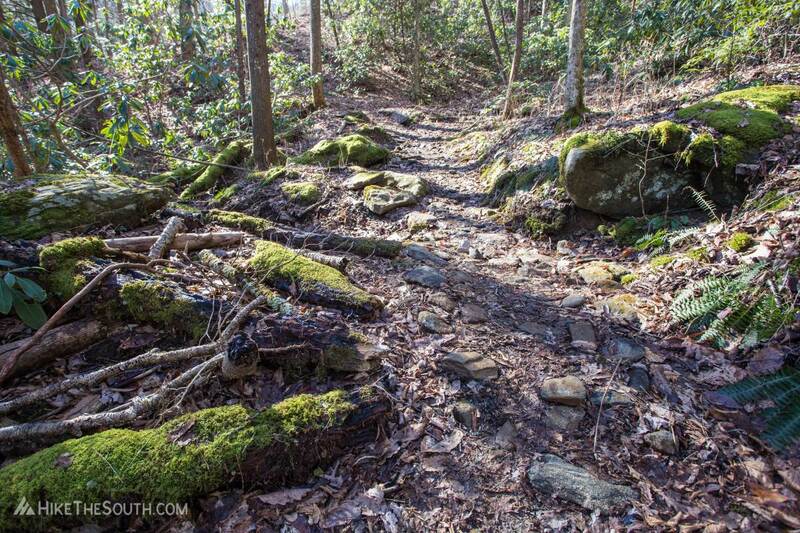 Head up the stone steps to continue on the AT over Blood Mountain by way of several switchbacks. 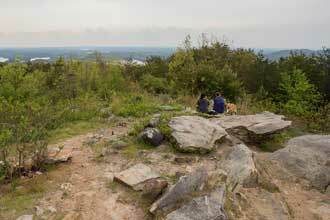 You'll pass the Duncan Ridge Trail on the left at 3.4 miles and reach the summit at 3.9 miles. 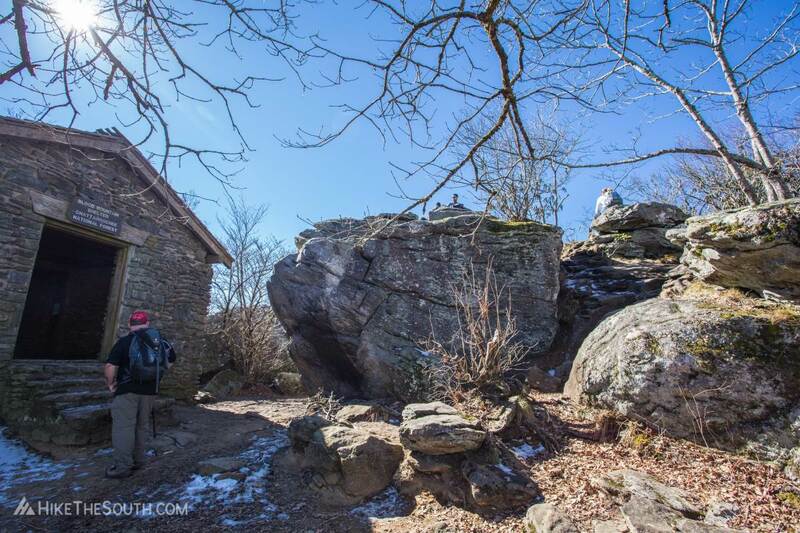 At the shelter, you can climb up the rock for the summit view. 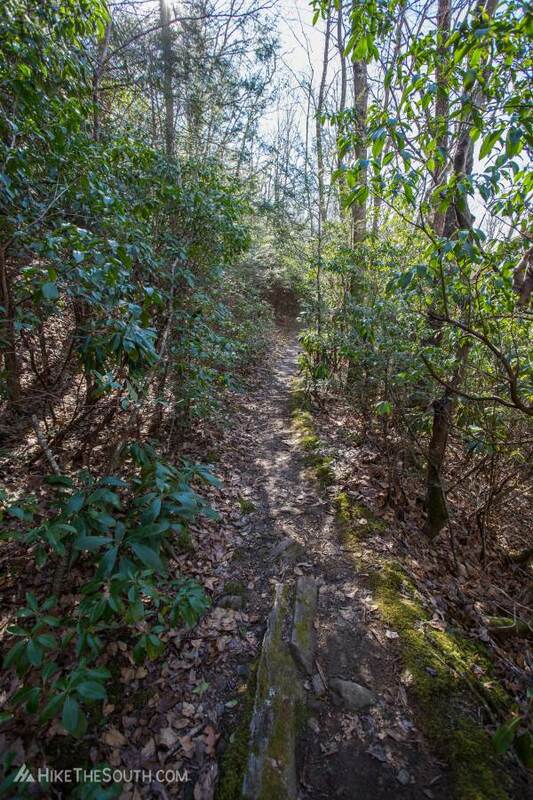 Heading down through dense rhododendron tunnels arrive at Blood Mountain Overlook another .1 miles further. Check the ground for white blazes, short side trails make it a little confusing, but you can't get too lost. Another view awaits before you head down the other side of Blood. This section is much rockier than the way up, and a good bit steeper. 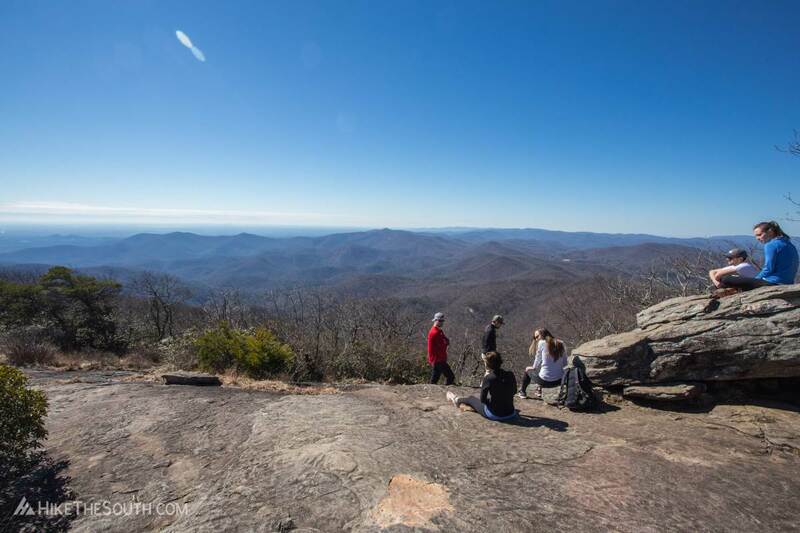 At 5.2 miles you'll arrive at Flatrock Gap. Freeman Trail (Purple). Make a sharp right, angling back the way you came to continue on the Freeman Trail. A faded blue blaze makes it a little hard to see the trail. This is the rockiest section on this hike, passing through several boulder fields and a couple short scrambles up steep rock faces. Nothing too difficult though. 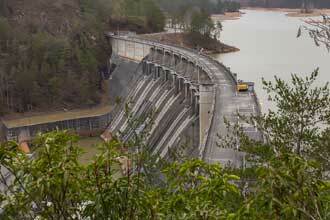 At a hair under 7 miles you'll arrive back at Bird Gap. Slaughter Creek Trail (Red). 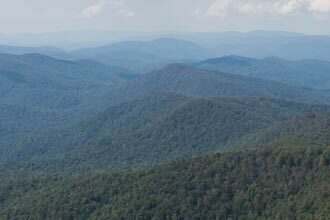 Retrace your steps along the AT from Bird Gap to the base of Blood Mountain and the Slaughter Creek Trail split. All the difficult bits are behind you as the Slaughter Creek Trail heads downhill at a gentle pace. Much of the trail stays close to Slaughter Creek and although you can catch glimpses in winter, you'll be hearing it more than seeing it. After a half mile, a trail heads off to the right, stay left. Pass a couple side trails to a campsite on the right a bit further. 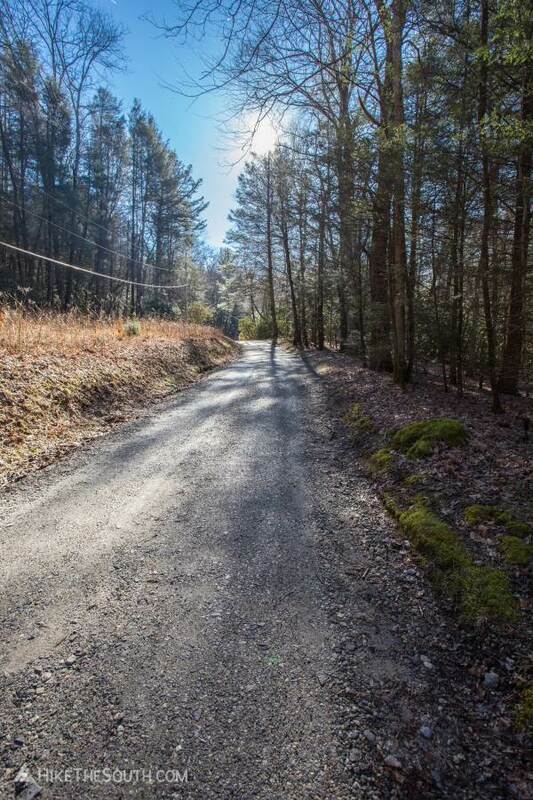 Arrive back at the gravel road crossing split with the Jarrard Gap Trail and shortly afterward finishing the hike back at Lake Winfield Scott. Alternatively, you could start at the Byron Herbert Reece trailhead to make a slightly longer loop. This trail is the Gray trail on the Terrrain Map below. Just before the lake there's a gravel parking lot on the left. Along the rest of the road there are several other parking areas and marked parking spots. The trailhead is just after the first lot on the right across from the lake. 10-12 vehicles at the first gravel lot. 10-12 vehicles along the gravel parking along the road. 30+ other designated spots along the road. Coming down Blood Mountain and the Freeman Trail are both very rocky. Watch your footing. Minor creek crossings and some muddy sections. This route makes for an excellent half day adventure. 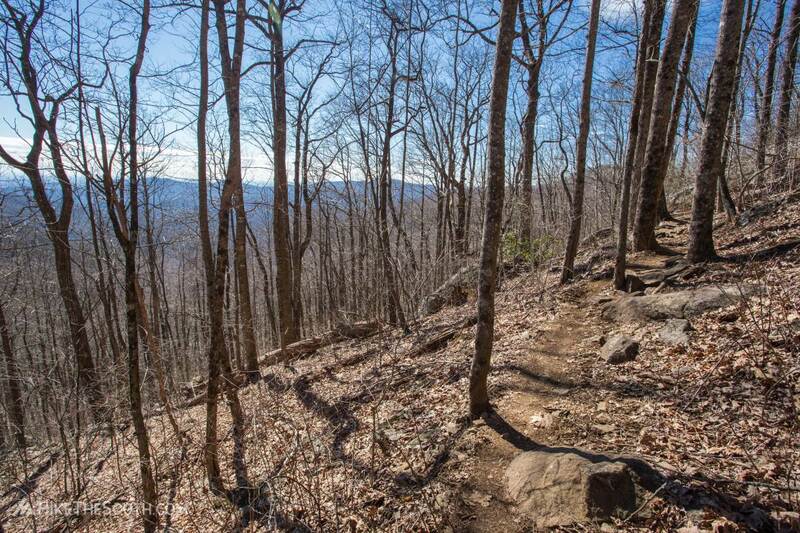 4 trails provide gentle slopes, steep switchbacks, and rocky trails. Beautiful views as always from Blood. 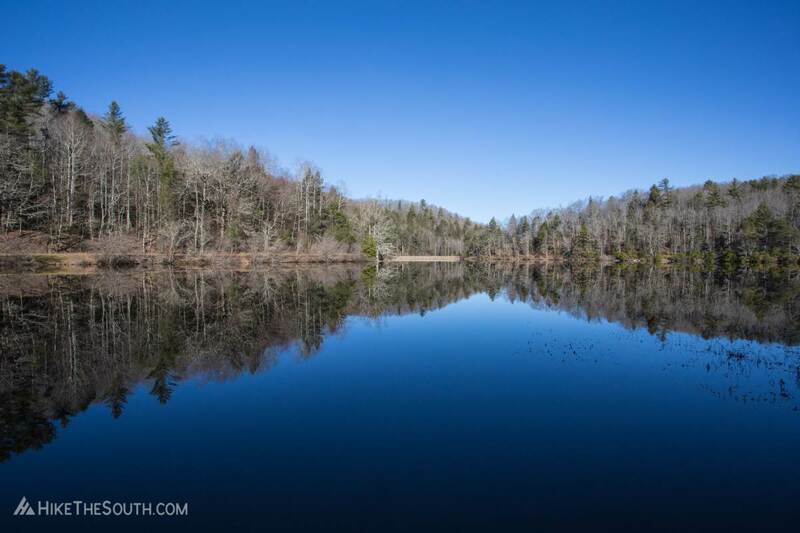 If you want to get in some miles, this is the hike to take.